If you’ve reached your mid-50s or later, go ahead, measure yourself. Chances are you’ll discover something peculiar. You’ve shrunk. Perhaps just half an inch, perhaps an inch, perhaps even more. Indeed, if you’re like many people, by the time you reach your 70s, you might have lost 2-3 inches in height. “[We believe] that posture affects and moderates every physiologic function from breathing to hormonal production. Spinal pain, headache, mood, blood pressure, pulse, and lung capacity are among the functions most easily influenced by posture. Translation? 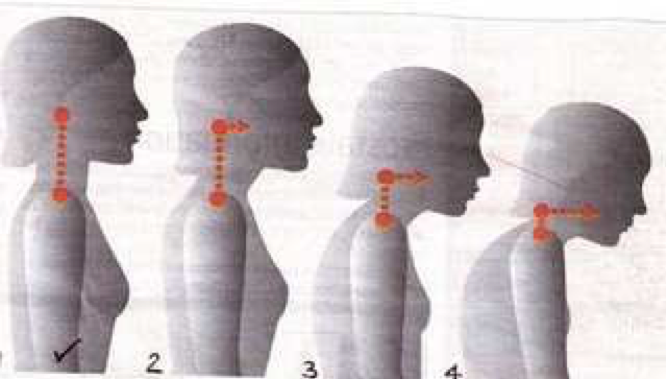 Posture impacts all bodily functions, particularly breathing and thereby the oxygen supply to the body’s cells. Posture also affects the sympathetic function of the body, and its ability to regulate itself and maintain internal balance. Growing Disability. People with hyperkyphosis are more likely to have difficulty performing simple daily tasks like bathing and washing themselves. They are also more likely to fall and hurt themselves. All of this paves the road to the nursing home. Growing Risk of Fractures. Hyperkyphosis has also been found to be a risk factor for fractures of the hip, leg, wrist, shoulder, and arm. The risk is greater the more hunched the back is. It is independent of bone mass density, which suggests that hyperkyphotic slumping is a separate risk factor for suffering fractures, on par with osteoporosis. Restricted Breathing. It doesn’t stop there, however. When a person is constantly stooped forward, it puts tremendous pressure on the chest and lung cavity. This in turns restricts breathing capacity or creates shortness of breath. The breath is the source of vital, life-giving oxygen to all the cells of the body. In the elderly, shortness of breath leads to a host of health issues, including increased anxiety and depression, reduced happiness, and, again, reduced ability to undertake normal daily functions. Earlier Mortality. With all of this going on, it’s not a surprise that people with hyperkyphosis die earlier than their peers. Studies have shown that older men and women with a forward-hunched posture have higher death rates; in one study they had a 44 percent greater rate of mortality. If your mama admonished you to stand up straighter, she had a point: Posture affects our health in numerous ways, and maintaining the structural integrity of the body inevitably involves working on keeping a good posture. If you start out with a good posture, the deterioration of posture won’t be noticeable until around age 45 to 50, when the first signs of aging become apparent. If you already have a slumped over posture, however, the health of your back will deteriorate even faster once aging undermines your body’s ability to resist the downward pull of gravity. It takes a while to counteract poor postural habits and restore normal ones. It involves not just strengthening weak muscles and stretching muscles that have grown tight, but a fundamental resetting of body awareness and the sense of your body in space. However, retraining postural habits is entirely possible, and generally speaking, the earlier you start, the better. If you already have an exercise routine, it’s important to add a posture-balancing component to it. Fitness routines like Pilates and yoga that build core strength are a great place to start. Yoga is particularly useful because it trains the spine to keep functioning in all six planes of motion. This in turn keeps the discs more lubricated and moist—counteracting the drying out of the discs that is the other factor in losing height. and patience to rebuild posture. You have to build new muscle mass to hold you upright and reshape tissues that have frozen into the wrong shape. Posture is an important dimension of fitness that you can’t afford to ignore. The simple act of straightening up throughout the day can change your life. Literally. As you regain your normal spinal curves and open up your posture, you will begin to feel better all over. Keeping these simple principles in mind for keeping the spine and back healthy will help you lay a safer foundation for your long-term health. As you develop a youthful posture, balanced back, and flexible spine, you will not just feel better, your appearance will become increasingly attractive, graceful, and ageless. It’s well worth the time and attention. Do you teach yoga to older beginners? 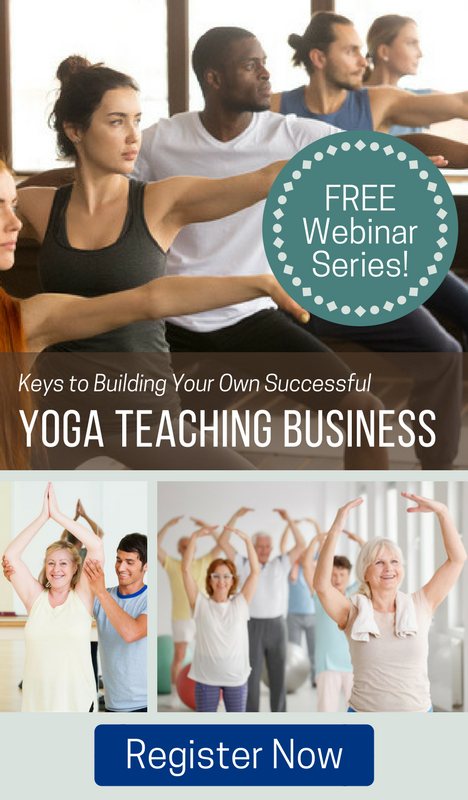 Join us for a free 3-part webinar series on how to build your yoga business, featuring presentations by Terry Smith and Eva Norlyk Smith! Yoga teachers and movement therapists Terry Smith, Ph.D., RYT-200, LMT, and Eva Norlyk Smith, Ph.D., RYT-500, CMT, are co-founders of YogaUOnline.com as well as of the therapeutic yoga program, Healthy Back, Healthy Body, which offers a series of course modules focused on improving back health and restoring balance and fluidity to the spine.